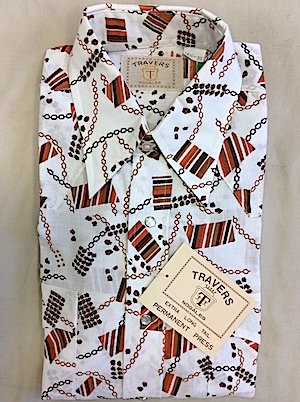 Vintage 1970's Mens long-sleeve Western shirt. 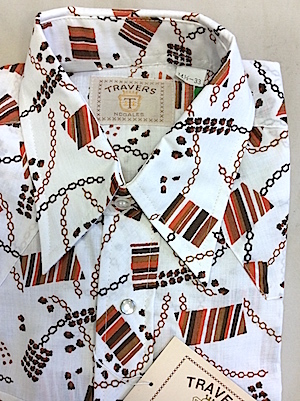 Shades of Orange and Brown with patterned squares and chain shapes that give the design a somewhat nautical feel. Pearly white snaps with snap closure patch pockets on each side. Long, pointy 1970's collar. Tagged by Travers. 65/35 poly-cotton.